The history of Get Out Your Guitar day is simply unable to be recorded. Ever since the first version of a guitar was created, man has desired to escape the mundane and take some time to dream. Bards and storytellers of old became the pop stars of today. All with the ability to make music and take us along on their adventures. Whether it is the heartache of relationships or the ringing anthems of those who seek for change, the music sweeps us up and gathers us along. Remember that joy that you had the first time someone heard you playing and recognised the song? That is what today is about. I know we have a lot of guitar owners on here, but do we have guitar players? jivedubbin, cunny44, Aps and 2 others like this. Soggz, Jack Tatty, Aps and 1 other person like this. I teach guitar and used to play for eight hours or more a day until life got in the way. Been giging regularly for the past 30 years and enjoyed every second of it all. Kevinthedog, S1mon, jivedubbin and 1 other person like this. This is my current guitar family. 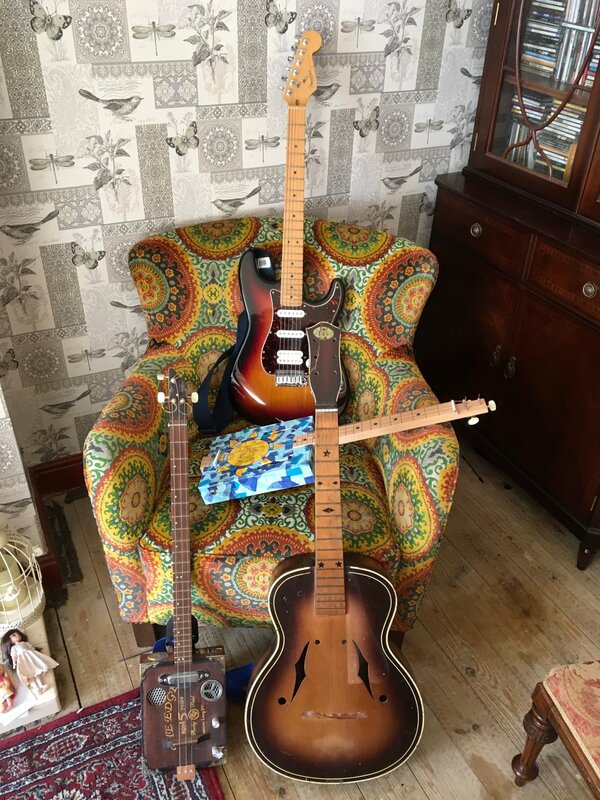 A Strat, two cigar box guitars and an acoustic “project” I hope to get round to restoring before too long. There should be a Hofner President bass there too, but @scrooge95 is looking after it until such time as a) she decides to sell it, and b) I have the funds to buy it! philntfc, S1mon, scrooge95 and 2 others like this. Soggz, S1mon, cunny44 and 2 others like this. Soggz, Aps, Jack Tatty and 1 other person like this. p.tinks, Aps and Jack Tatty like this. I'll try but dont hold your breath, its an ongoing project! bernjb56 and Aps like this. Soggz, Kevinthedog, philntfc and 4 others like this. S1mon and bernjb56 like this. bernjb56 and MorkC68 like this. 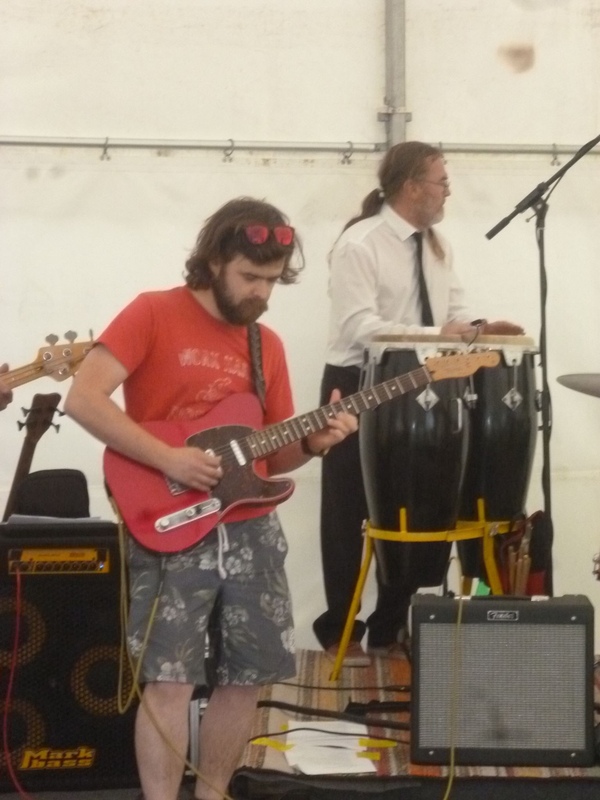 I never did manage to master playing the guitar. Something i've wanted to be able to play since i was at school but i've not even taken it out of its bag in a good few years. cunny44 and bernjb56 like this. Soggz, bernjb56 and cunny44 like this. I have a cigar box one and a Spanish guitar - but my son has a 1983 Fender Strat that we bought him for his 16th birthday - now rarely used - I might have to buy it back off him. Meanwhile I'll stick with my blues harps. jivedubbin, bernjb56 and Jack Tatty like this. Note the three pickups. It’s a Nashville tele so gets one extra pickup. S1mon and Jack Tatty like this. bernjb56 and Jack Tatty like this.